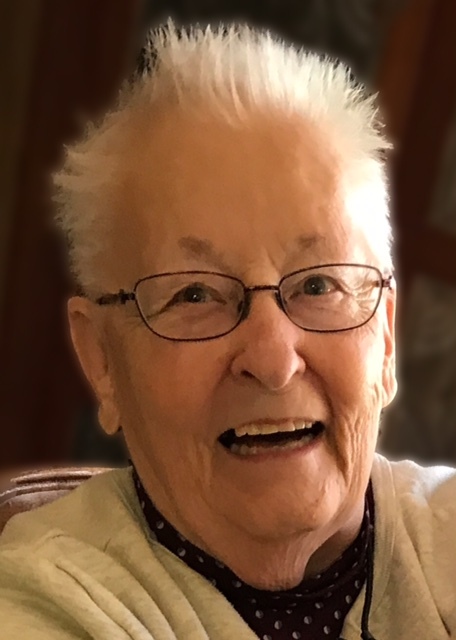 Ann Mosher, 78, a resident of Eldridge, Iowa passed away on Friday, November 30, 2018 at Genesis Medical Center, East Campus in Davenport, Iowa following a brief illness. A time of remembrance will be held from 12:00 P.M. to 3:00 P.M. on Friday, December 7, 2018 at Chambers Funeral Home in Eldridge. In lieu of flowers, memorials may be made to the Scott County Library. She was born in Syracuse, New York on September 7, 1940, the daughter of Thomas and Alice (Sales) Rowe. On November 3, 1962, she was united in marriage to Thomas Mosher in Skaneateles, New York. Ann worked at the Eldridge branch of the Scott County Library for ten years. She thoroughly loved her work at the library making many friends over the years. While living in New York, she received training in x-ray technology and worked in New York as well as Maryland as an x-ray technician. She taught radiology technology to new students as well. During her spare time, Ann enjoyed sewing, loved to make jewelry and was an accomplished cook. Those left to cherish her include her husband, Tom; her daughters, Alice (Mark) Anderson of Manhattan, Kansas and Julie Mosher of Eldridge; her grandchildren, Faith Ann Mosher and Sierra Johnson; her brothers, David Rowe of Murfreesboro, Tennessee and Tommy (Susan) Rowe of Harrisburg, Pennsylvania; and many wonderful friends. Ann was preceded in death by her sister, Barbara Brown; and by her parents.